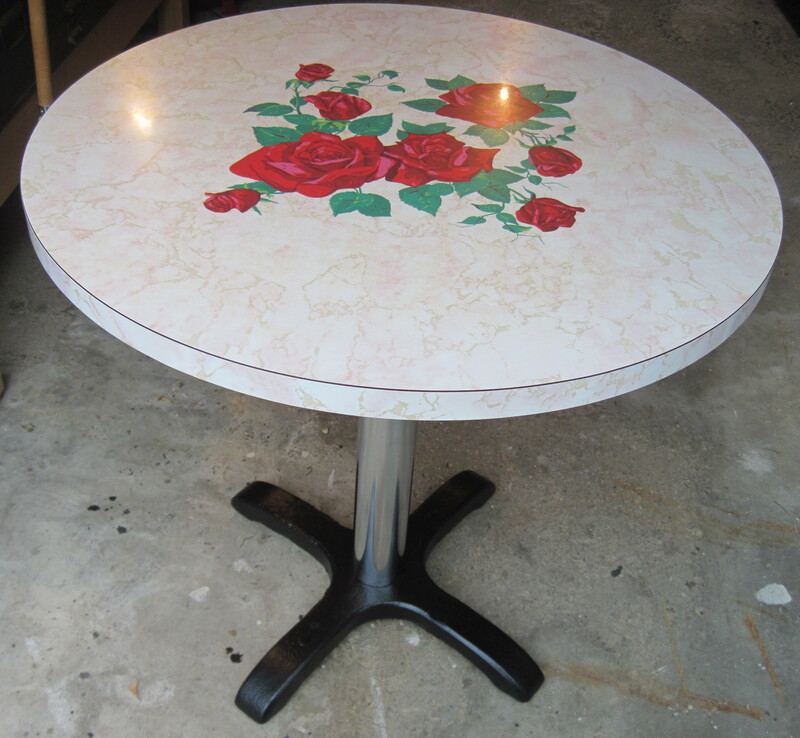 Just recently acquired this great vintage 1950’s round pedestal table with Rose patterned formica table top. The base is chrome and cast iron. The top is in pretty good shape although there are a lot of surface scratches, it still looks pretty good. The cast base was cleaned and repainted. The top was cleaned and polished to bring out the shine. It measures 30″ wide and would suit a small kitchen or cottage.